Some Silicon Valley CEOs moonlight as racecar drivers, others as winemakers. Gary Bloom, the outgoing CEO of San Mateo, CA-based eMeter, is probably the only one who spends his off hours as an emergency-response volunteer. Now Bloom has pulled off a rescue of sorts for his own company. Siemens Industry (NYSE: SI), the Atlanta-based U.S. wing of the German electrical and engineering giant, announced yesterday that it’s acquiring eMeter in a deal expected to close this month, just 20 months after eMeter’s board brought Bloom in to give the smart-grid startup the enterprise-software credentials it needed to compete. That task was a formidable one. It was to take eMeter, an aging startup with its roots in the utility and telecommunications industries, and make it into a company that could compete with the likes of Oracle (NASDAQ: ORCL) and Itron (NASDAQ: ITRI) when it comes to selling utilities the software they need to make sense of data from the growing number of smart meters at commercial and residential sites. The Siemens acquisition offer wasn’t the first one eMeter had received—but it was “the first time that it presented enough of a value to the shareholders that it was taken seriously,” says Arteaga, who attributes the larger offers to Bloom’s leadership. I met with Bloom back in August and talked with him about the company’s technology and the personal challenges of making the switch from the business software industry to cleantech. Though the interview took place well before an acquisition was in the air, we hit on many of the themes that likely made eMeter an attractive purchase for Siemens. An edited writeup of our conversation follows. Xconomy: Why did the eMeter board hire you? Gary Bloom: I think they hired me for my ability to run a company. We are selling to a big industry, and we have to operate like a big company to service that industry. I have big-company experience. This is the smallest thing I’ve run, shy of the Menlo Park fire and disaster team for a year. X: What struck you most, when you arrived at eMeter? 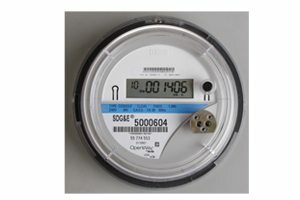 Smart Meters, something to be afraid of?